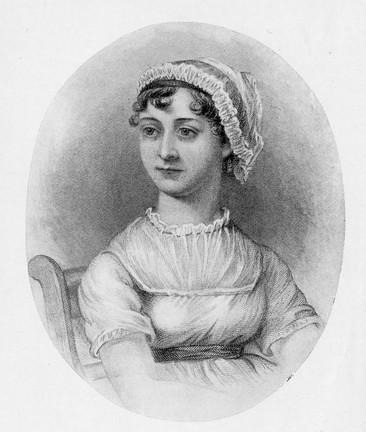 Lady Susan was written by Jane Austen, probably around 1793-4, during the time she was writing the beginnings of Sense and Sensibility (then called Elinor and Maryanne). Whilst it was prepared for publication, Austen never sought to have it published, and it was her nephew who first published it in 1871. This short novel centres around a newly widowed, middle-aged woman, Lady Susan Vernon, who is fresh from an affair with a married man in whose household she has been staying. In order to escape the scandal and misery she has caused, Lady Susan invites herself to stay with her husband’s brother and his wife, Mr Charles and Catherine Vernon. Catherine Vernon’s brother, Reginald De Courcy, also comes to visit them out of a mere curiosity to see the wicked, flirtatious and very beautiful Lady Susan whose reputation precedes her, and ends up falling under her bewitching spell. There is exquisite pleasure in subduing an insolent spirit, making a person pre-determined to dislike, acknowledge one’s superiority. 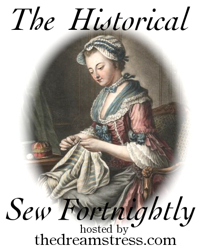 Lady Susan had sent her daughter, Frederica, to boarding school, partially because she took an aversion to marrying her mother’s choice for her, a Sir James Martin. Lady Susan soon receives word that she has been trying to run away, so she is forced to have her stay at the Vernon’s residence with her. Lady Susan, who had been shedding tears before and showing great agitation at the idea of the meeting, recieved her [Frederica] with perfect self-command, and without betraying the least tenderness of spirit. She hardly spoke to her, and on Frederica’s bursting into tears as soon as we were seated, took her out of the room and did not return for some time; when she did, her eyes looked very red, and she was as much agitated as before. We saw no more of her daughter. Poor Reginald was beyond measure concerned to see his fair friend in such distress, and watched her with so much tender solicitude that I, who occasionally caught her observing his countenance with exultation, was quite out of patience. This pathetic representation lasted the whole evening, and so ostentatious and artful a display had entirely convinced me that she did in fact feel nothing. Upon Frederica’s arrival, Sir James quickly follows her to the Vernon’s and sets everything in an uproar. Lady Susan, who is still determined that her daughter will marry him, did not want to involve the Vernon’s in the process, and when Frederica appeals to Reginald to help save her from the situation, Lady Susan is forced to send Sir James away in order to placate Reginald’s anger. Its effect [of her speech] on Reginald justifies some portion of vanity, for it was no less favourable than instantanious. Oh! How delightful it was to watch the variations of his countenance while I spoke, to see the struggle between returning tenderness and the remains of displeasure. There is something agreeable in feelings so easily worked on. Not that I would envy him their possession, nor would for the world have such myself, but they are very convenient when one wishes to influence the passions of another. Lady Susan decides to remove to London, leaving Frederica in the care of the Vernon’s, and Reginald also leaves, but intends to pursue Lady Susan to London in the hopes marrying her. It all comes undone when Mrs Manwaring (the wife of Lady Susan’s old lover) visits her guardian, Mr Johnson (the husband of Lady Susan’s friend, Mrs Johnson) to apprise him of the deplorable conduct of Lady Susan with her husband. Reginald De Courcy happens to visit the Johnson’s at that moment, and is informed by Mr Johnson of Lady Susan’s true character, which removes all his illusions of her goodness. I write only to bid you farewell. The spell is removed. I see you as you are. Mr Johnson forces his wife to break off all contact with Lady Susan, and the final letter contains the news that Lady Susan has sent for Frederica, that they may stay in town together. The conclusion to the story is written in narrative prose, rather than letter form. The Vernon’s soon removed to London, in the hopes that Lady Susan might be prevailed upon to let her daughter live with them, and – after several days – she relents. Three weeks later, Lady Susan announces her engagement to Sir James Martin. Whether Lady Susan was, or was not happy in her second choice – I do not see how it can ever be ascertained – for who would take her assurance of it, on either side of the question? The world must judge from probability. She had nothing against her, but her husband and her conscience. The story finishes by the narrator entertaining hopes that, once Reginald overcomes his love for Lady Susan, he may be able to transfer it to her daughter. I really liked this novel! And not only because it gave me another opportunity to read more of Jane Austen, but because it was written in an eighteenth century style, which she dispensed with in her later Regency works. In form, Lady Susan is very much an eighteenth century novel, told through the medium of the characters’ letter writing, which was a popular way of novel writing during that era. Some of Austen’s favourite authors, like Samuel Richardson and Fanny Burney, wrote novels in this style. Whilst she attempted to write Sense and Sensibility in a similar vein, she eventually abandoned this style of writing, preferring a third person narrative. She seems to allude to the problems of this style of writing in the conclusion of Lady Susan. This correspondence, by a meeting between some of the parties and a separation between the others, could not, to the great detriment of the Post Office revenue, be continued longer. The epistolary form was also mocked in the novel Shamela (1741), thought to be written by Henry Fielding under the name of Joseph Andrews. The book was intended to be a satire on Richardson’s Pamela, or Virtue Rewarded, and in it we see that one of the shortcomings of this form of fiction is the improbability of a young lady writing such a huge quantity of letters, which describe her experiences in such great detail. In substance, Lady Susan is very much an eighteenth century novel, as it reflects the lax morality of the late 1700’s. Austen’s later books reveal a more strict moral code that had grown in society with the power of the moral middle class during the Regency era. Austen punishes her other characters that deviate from this code much more severely than she does with Lady Susan. Austen conveys her main character’s scheming nature by allowing the reader to be privy to her letters. They amply illustrate Lady Susan’s character by allowing the reader to compare her correspondence when conversing with a variety of people, such as her relations, her friend, and the man she was attempting to deceive. This enables the reader to see how deceptive she really is. The inclusion of letters to and from the other characters in the story mean that the reader can hear the other opposing voices in the story, helping to accurately determine the character’s credibility. In terms of an eighteenth century novel, I think Austen has been very successful. Lady Susan has an excellent storyline and moves briskly through the plot, which other novelists did not do in this era. 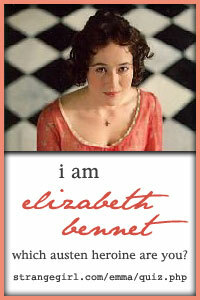 Compared to her later works, some Austen-fans may be disappointed, as her main character lacks all the like-ability of Elizabeth Bennet, Emma Woodhouse, and the Dashwood sisters. Have you read any eighteenth century literature? It’s my cup of tea!